What happens if you don’t get enough minerals and trace elements in your diet? Potential for deficiency depends on the mineral itself — some are absolutely necessary; others, not so much. No nutrition scientist has yet been able to identify a naturally occurring deficiency of sulfur, manganese, chromium, or molybdenum in human beings who follow a sensible diet. Some minerals, such as phosphorus and magnesium, are so widely available in food that deficiencies are rare to nonexistent. Most drinking water contains adequate fluoride, and Americans get so much copper (can it be from chocolate bars?) that deficiency is practically unheard of in the United States. The Recommended Dietary Allowances (RDAs) and Adequate Intakes (AIs) for minerals and trace elements are generous allowances, large enough to prevent deficiency but not so large that they trigger toxic side effects. Check with your doctor before downing iron supplements or cereals fortified with 100 percent of your daily iron requirement, the Environmental Nutrition newsletter warns. Hemochromatosis, a common but often-undiagnosed genetic defect affecting one in every 250 Americans, can lead to iron overload. Increased absorption of the mineral has been linked to arthritis, heart disease, and diabetes, as well as an increased risk of infectious diseases and cancer (viruses and cancer cells thrive in iron-rich blood). Calcium: Without enough calcium, a child’s bones and teeth don’t grow strong and straight, and an adult’s bones lose minerals and weaken. Calcium is a team player. To protect against deficiency, you also need adequate amounts of vitamin D, the nutrient that allows you to absorb the calcium you get from food or supplements. 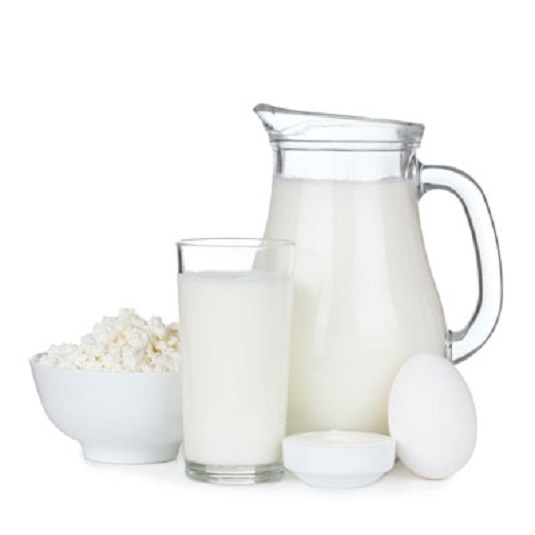 Milk fortified with vitamin D has done much to eliminate rickets. Iron: Lacking sufficient iron, your body can’t make the hemoglobin it requires to carry energy-sustaining oxygen to every tissue. The result is a condition called anemia, which leaves you tired and weak. Mild iron deficiency may also inhibit intellectual performance. Zinc: An adequate supply of zinc is vital for making testosterone and healthy sperm. Men who don’t get enough zinc may be temporarily infertile. Zinc deprivation can make you lose your appetite and your ability to taste food. It may also weaken your immune system, increasing your risk of infections. Wounds heal more slowly when you don’t get enough zinc. That includes the tissue damage caused by working out. In plain language: If you don’t get the zinc you need, your charley horse may linger longer. And, yes, zinc may fight the symptoms of the common cold. To date, several studies have confirmed that sucking on lozenges containing one form of zinc (zinc gluconate) shortens a cold — by a day or two. Others show no differences. Your choice. Iodine: A moderate iodine deficiency leads to goiter (a swollen thyroid gland) and reduced production of thyroid hormones. A more severe deficiency early in life may cause a form of mental and physical retardation called cretinism. Selenium: Not enough selenium in your diet? Watch out for muscle pain or weakness. To protect against selenium problems, make sure that you get plenty of vitamin E. Some animal studies show that a selenium deficiency responds to vitamin E supplements.